The mission of the Library of the Marine Corps (LoMC) is to support study and research throughout the Marine Corps in expeditionary, tactical, operational and strategic warfare in a joint and combined environment by providing comprehensive storage, retrieval, analysis, and distribution of warfighting-related information. It provides worldwide patrons with access to an extensive collection of monographs and journals, historically significant archival documents, products of current scholarly research, and operational planning and lessons learned in order to support professional military education, and stimulate the development and implementation of concepts, doctrine, tactics, techniques, and procedures. 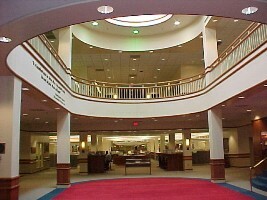 The premier academic library within the Marine Corps. Its collections include over 150,000 volumes, 400 periodical subscriptions, and 120,000 microforms as well as access to numerous government and commercial databases and digital resources. While the Research Library’s emphasis is on amphibious warfare, all aspects of military arts and sciences and military history are covered in depth, with ancillary subject areas such as history, international relations, regional and area studies, geography, political and social sciences, and technology. 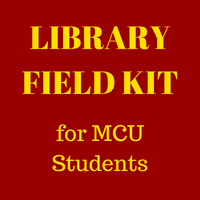 The Library provides a complete range of reference, bibliographic, research and loan services to students, faculty, and staff of the Marine Corps University schools, as well as to Marines and independent scholars worldwide. The Virtual Branch provides technical oversight and management of all matters relating to the recommendation, purchase, licensing and use of software applications, leased and/or purchased digital information resources, and the systems used to organize, catalog, and provide access to the library’s electronic resources. It ensures the effective delivery of digital information and research resources to the Marine Corps University campus and broader community of students, staff, and researchers throughout the University and the Marine Corps on the open internet as well as through appropriate portals, intranets, extranets or other delivery methods. 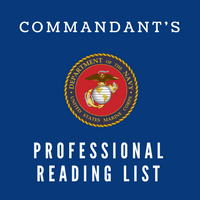 The Base Library provides educational, cultural, technical, informational, and recreational library needs for military personnel and their family members stationed at Quantico, civilian employees of the Base, and retirees living in the local area. The library helps its users meet educational requirements to improve job performance and increase chances for promotion for military and civilians; enhance school performance of family members, develop reading and learning skills for children, youth and young adults, and support recreational needs of users of all ages.